The Army and Navy Club, Washington, D.C. The first day included panel presentations on implants, prosthetics, surgical planning and modeling, as well as end users, including hospitals. 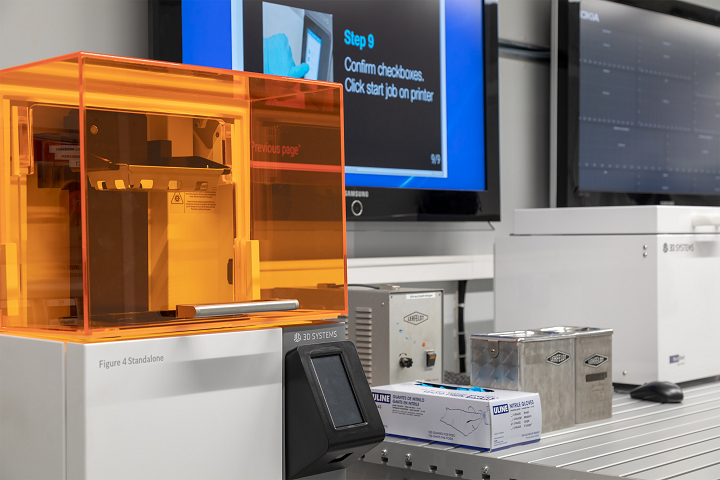 For hospitals, the current debate is whether to have a complete 3D printing center on-premises or primarily rely on outside sources. The Mayo Clinic has an extensive on-site department where New York’s Hospital for Special Surgery uses outside resources and some on-site equipment. The final panel covered the future of 3D printing in medical markets. The speaker was Lieutenant James Coburn from the US Navy, member of the FDA and a substitute for Dr. Mathew Di Prima who was prohibited from working due to the government shutdown. On day two, the opening keynote was a very moving presentation by Katie Weimer, VP Medical Devices from 3D Systems. Weimer discussed the use of 3D technologies in virtual surgery to separate twins that were conjoined at the skull into separated babies. 3D technologies had aided in both planning and performing this difficult surgical task, in addition to improving patient outcomes. The first panel was devoted to 3D printing biomedical materials. Carnegie Mellon University and the five company presenters are engaged in developing life-altering technologies that have never been seen before. Although the task is daunting, it was clear that steady progress is being achieved by some very bright and focused scientists. The second panel was the first non-technical panel devoted to financial and investment opportunities. David Labiak, Senior Portfolio Manager of Trent Capital Management, gave an investment bank perspective. Labiak provides investment management services and strategic planning for companies that are involved in the additive manufacturing industry. I, Charles Goulding, Attorney/CPA and President R&D Tax Savers, reviewed the R&D tax incentives including the new $250,000 per year cash rebate opportunities. Lawrence Gasman of SmarTech covered the international government support environment with particular emphasis on South Korea’s broad-based support for 3D printing. John Hartner, the Founder of Digital Industrialist, reviewed the process of starting by examining numerous companies in the related space and deciding to make investments in two promising medical technology companies. The final presentations were devoted to 3D printing in dental markets. From a vertical market perspective, 3D printing has gained the most traction in the dental market in both dental labs and multiple high volume applications. Rik Jacobs, General Manager, Dental, at 3D Systems, showcased a movie that demonstrated an entire 3D dental procedure with himself as the star patient. He is the founder and former CEO of NextDent B.V. where they produce dental denture materials and products. Panel speaker Justin Marks is the Founder/CEO of Arfona, a startup specializing in digital manufacturing methods for dental prosthetics. Marks represents the third generation in the dental industry. Arfona has attractive dental products for practical applications, digital dentures and partials. Arfona uses both 3D printing technologies and computer aided design for removable prosthodontics and is also credited with the invention of the world’s first 3D printed Valplast partial denture. I commuted back to New York with two Summit attendees and had communication with three others the next day. Everyone agreed that this was an excellent 3D Printing Medical and Dental Summit with an impressive amount of networking by many enthusiastic and knowledgeable participants. 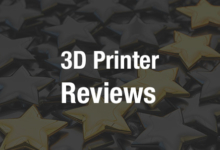 Charles Goulding of R&D Tax Savers discusses the recent Additive Manufacturing Strategies summit.